Would you like to be a MEMBER? CLUB SPONSOR? VENDOR at our events? Click "Document Library" at left for forms ! 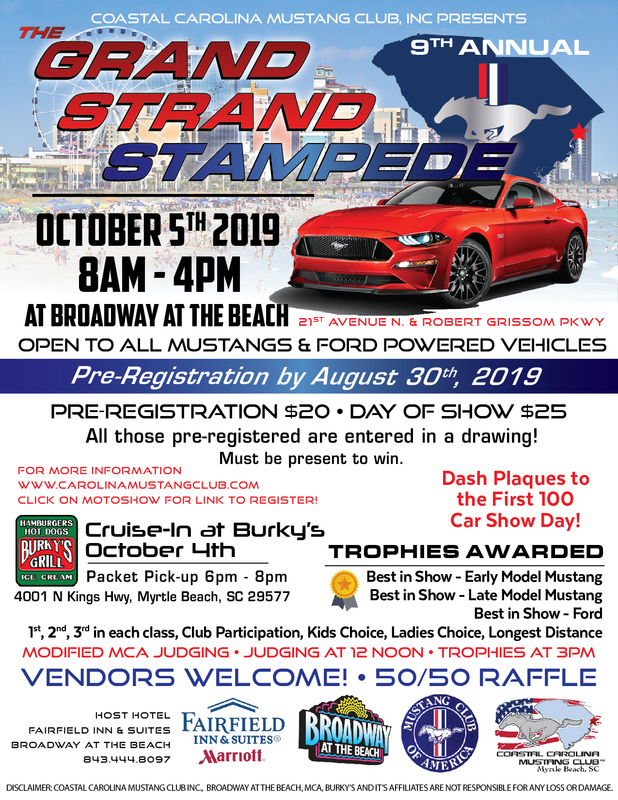 Coastal Carolina Mustang Club, Inc., urges all Members to also join the Mustang Club of America ! Click the MCA icon on the left to sign up now ! 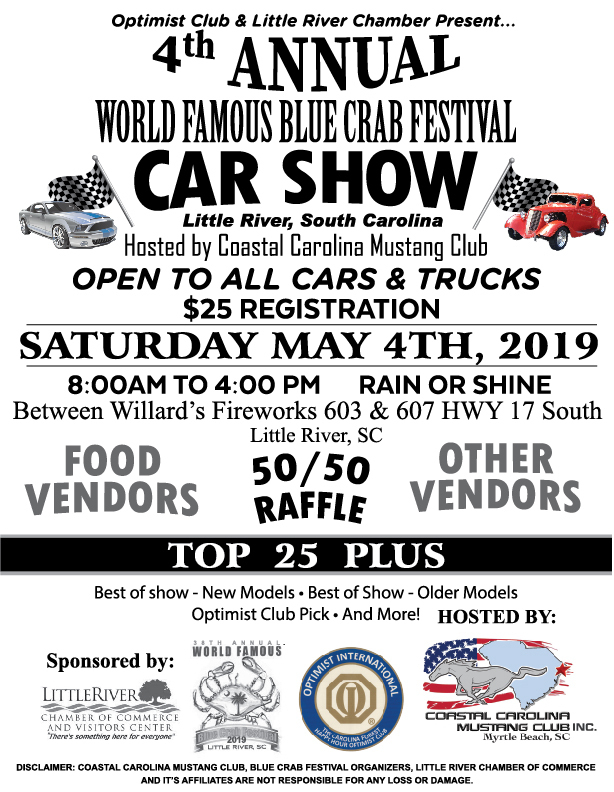 Coastal Carolina Mustang Club, Inc.
Great Friends, Good Times, and Fun Cars!!! We are car enthusiasts joined together by the iconic Ford Mustang and all Ford Powered vehicles. We welcome everyone to join us as we fellowship together and enjoy our cars. Our club hosts many cruise-ins, car shows, and club member events while raising money for our community and local charities. All hosted activities are done in a fun and family-oriented way. Please check out our Club Sponsors page and support our sponsors. They will take care of you and your Mustang as if it were their own.